The building of the Gymnasium “Jovan Jovanovic Zmaj” in Novi Sad is a very significant work of Serbian architecture for the 21st century and therefore is declared as a cultural monument under the state protection. It was built in 1900 with the help of benefactors Baron Milos Bajic, granddaughter of Milos Obrenovic, on the site of the former Serbian Orthodox Great Gymnasium School and designed by architect Vladimir Nikolic. This makes it the oldest gymnasium school in Novi Sad. A building was built in the shape of the letter “P”, with elements of classical Serbian romantic architecture. It is a storied building with ground floor and basement. The restoration works were carried out in 1984, 2003, 2005 and 2006. 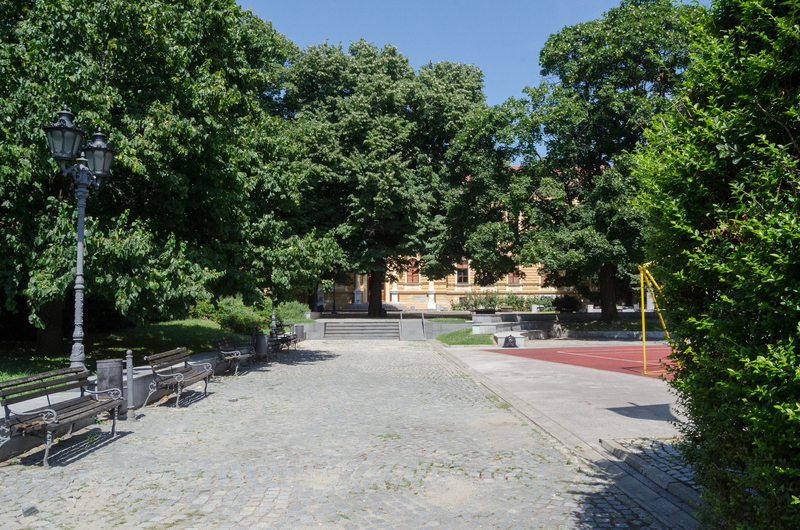 It is located on the oldest street in Novi Sad named “Zlatne grede”. Students have 3 directions types available: natural sciences and mathematics, socio-linguistic direction and the direction for gifted students from Mathematical Gymnasium.